As you know the tools and weapons of our inventory, appears a bar indicating the weathering of each item and sometimes is not very clear. 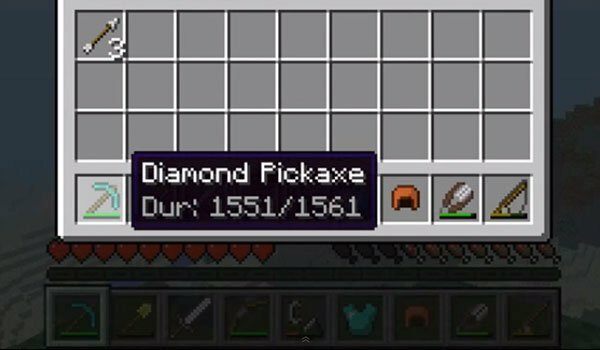 This was why Show Durability Mod 1.6.2 and 1.5.2 was created, in order to highlight and implement this function, because with a small bar so sometimes you have to look twice. Thus the mod, over on the object, indicates the amount you can still spend. How to install Show Durability Mod for Minecraft 1.6.2? How to install Show Durability Mod for Minecraft 1.5.2? Now you will see the status of your best weapons and tools!